Unless your name rhymes with “Voscar the Vrouch,” you’re probably not someone who likes to live around dirtiness, clutter, and junk. This is a trait that most people share, and if you happen to be the proud owner of a commercial building, the cleanliness thereof is probably an issue that often crosses your mind — and if it doesn’t, it should! You might remember a line from the original Star Wars movie where Princess Leia remarks to Governor Tarkin that she recognized his “foul stench” the moment she was brought on board the Death Star. It’s not exactly a flattering review, and if this is the kind of feedback you’re getting from clients, it might be time to call some qualified janitors. While it’s unlikely that you will have a smell so exceedingly nauseating that it’s immediately recognizable when you walk in, it still stands true that funky smells are a no-no for commercial buildings. 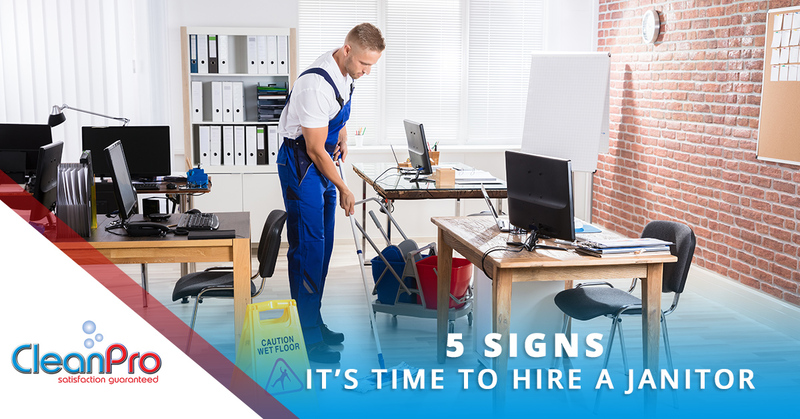 They are a very obvious and immediately apparent sign that things are either very unclean, or that there’s some kind of underlying problem that’s even worse, such as water damage from a broken pipe. Fortunately, we can help with both the former and the latter. CleanPro has handled janitorial services for countless businesses in Gloucester, North Shore, Essex, and the greater Boston area. And if that’s not your cup of tea, we also provide quality damage restoration services — that includes the water damage problem you may or may not have in your building! Sure, it’s common knowledge that sicknesses go around more quickly in an office setting. Depending on someone’s stubbornness, the sick day policy of the company, the severity of the symptoms, and so on, many an employee may feel like it’s a preferable choice to come into work sick instead of staying home. This, of course, spreads germs, and you might see a whole wave of people ending up with cold or flu symptoms. That is normal. What’s not normal is a continuous cycle of germs and nasty sicknesses setting up shop in your office. While it’s pretty typical to experience a sick wave during the flu season, no office should have a constantly rotating schedule of afflicted employees. Are you able to predict three months in advance when somebody will get sick, because it’s happened so many times that it’s now a routine? Are people vomiting onto their keyboards? Is an ambulance a more frequent visitor to your office than the Pizza Hut delivery guy? Yeah, that probably means your commercial building needs a-cleanin’. Sicknesses are more common in buildings that have subpar indoor air quality, poor ventilation, and unclean surfaces. 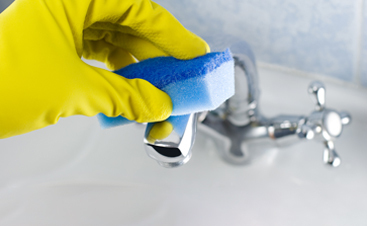 While cleaning can never completely stave off the threat of sickness, it can certainly slow it down. In 2017’s Best Picture Winner, The Shape of Water, a janitorial lady rescues a sentient swamp thing from the clutches of the evil government agents. While the movie states that the government guys found it near the Central American coast, we know that they’re lying just to make themselves look cool. The truth is obvious: the swamp creature clearly took residence there because of how nasty and grimy the commercial building was. Mark our words, in thirty years when the true meaning of the movie is discovered, critics and commentators will look back to Clean Pro as the only ones who knew the true message of the movie — that unclean buildings are just the worst. 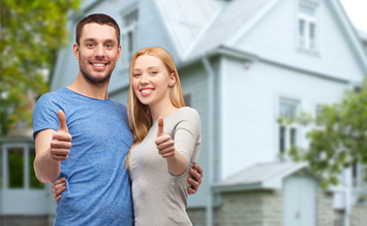 We advise you to conduct a thorough and exhaustive search of your building. Has your office building, school, church, or government facility attracted a green swamp creature? Are there creepy monsters from the sewers who have found your building to be a preferable alternative to their usual home? Has Jabba the Hutt been seen slithering around anywhere? If any of these things are true, don’t panic. It turns out these creatures are a lot nicer than they’re given credit for, but that doesn’t mean you want them in your building — it’s time to call CleanPro for janitorial cleaning services. If you’ve ever worked an office job, you know all the little bits and pieces of advice that are always thrown at you to keep you healthy. Get up and take a walk every half hour or so, stand up and stretch if you need to, drive all the way home to use the bathroom– Wait, what? Yeah, that’s not normal. Do you have bathrooms that are so insufferably disgusting that your employees dare not enter? Are the private facilities so dangerous that Shrek himself would turn away running? Enough is enough. It’s time to unclog those toilets, rinse down those sinks, scrub the floors, and heck, let’s wash off the ceilings while we’re at it. While we might be exaggerating a little bit, it is absolutely possible for bathrooms to get out of control if they’re not frequently touched up by a janitorial cleaning service. Cleaning toilets is icky, and that’s why you should leave it to the pros! Keeping employees (or customers) happy should be a top priority for any building owner, and one of the easiest ways to do the exact opposite of that is to give them nasty bathrooms. What an interesting and tragic phenomenon the Dust Bowl was! Dust storms, unprecedented in size and scope, swept the Great Plains of our nation, displacing countless people from their home and driving others to bankruptcy as crops would fail year after year. And for those who were lucky enough to avoid those two fates, their lungs and health took a major hit from the abundance of airborne dust and dirt. Given that the Dust Bowl was partially caused by humans, we’re lucky we haven’t seen another — that is, unless, you’ve been cooking up another one in your office through months and years of cleaning neglect. Have you seen how much dust builds up on blinds, computers, and keyboards when you’re not actively cleaning it? If left unchecked in an entire office floor, well, we shudder at the implications. Are you coughing a nasty fit every day at work and wheezing out dirty particulates? Are you writing a draft of The Grapes of Wrath 2 because of the dust that’s displacing people from their job? As it turns out, all you need to fix the problem is a professional team of qualified janitors. While the majority of the problems on this list are exaggerated to sheer hyperbole, the reality is that, if broken down to a more realistic scale, they are representative of actual problems that a commercial building can have if it doesn’t have regular cleaners on the job. 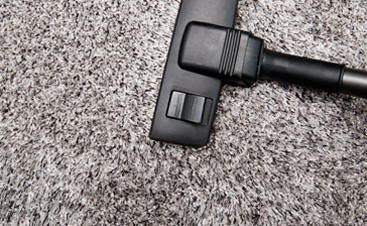 Sickness can spread, pests can migrate inside, funky smells can ensue, and dust can build up, among many other things. If you’re in Gloucester, or any of the surrounding areas such as North Shore, Essex, Manchester, or Greater Boston, we invite you to call Clean Pro, we take our job seriously, and you can expect nothing less from the best when we service your commercial building. For janitorial services, professional cleaning, restoration, renovation, and much more, be sure to contact us today!